Across Europe, public attitudes towards lesbian, gay and bisexual (LGB) individuals range from broad tolerance to widespread rejection. Attitudes towards homosexuality are more than mere individual opinions, but form part of the social and political structures which foster or hinder the equality and emancipation of LGB citizens. 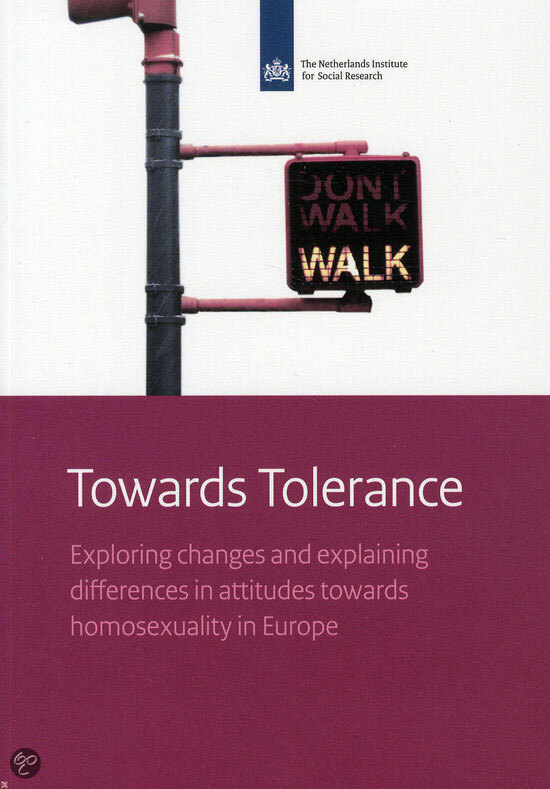 This report addresses the issues behind today’s differences in tolerance. Have attitudes towards homosexuality changed over the past 30 years? Are there European countries where tolerance is increasing, decreasing, or not changing at all? What explains differences in attitudes? Can differences be attributed to levels of income or education, and does religion play a major role? Are tolerant attitudes found in countries with high levels of gender equality? This report shows that Europe is moving towards more tolerance. However, different countries are moving at a very different pace and from very different starting positions. In addition, the biggest changes seem to have taken place between 1990 and 1999 and did not persist into the new millennium. Differences are related to other values, levels of income and income inequality, educational attainment, religious factors, degree of urbanization, EU membership and political systems, and to links with civil society and LGB movements.